for $259,500 with 1 full bath, 1 half bath. This 364 square foot property was built in 1982 on a lot size of 37.50 Acre(s). Beautiful and peaceful water front living on 37.5 acres. On the scenic Pocomoke River with a 485 ft. long pier. Also 2 boat slips with over 3 ft. to 6 ft. deep water. At least 3 ft. at lowest tide. Well built pier with cones on each pole to prevent water from seeping in and causing rot. The construction cost of the pier was $72, 000. There are 2 home sites on this 37.5 acres. One has a septic & well and shop already in place. The other has an approved perc site closer to the water front. Owner financing may be available. 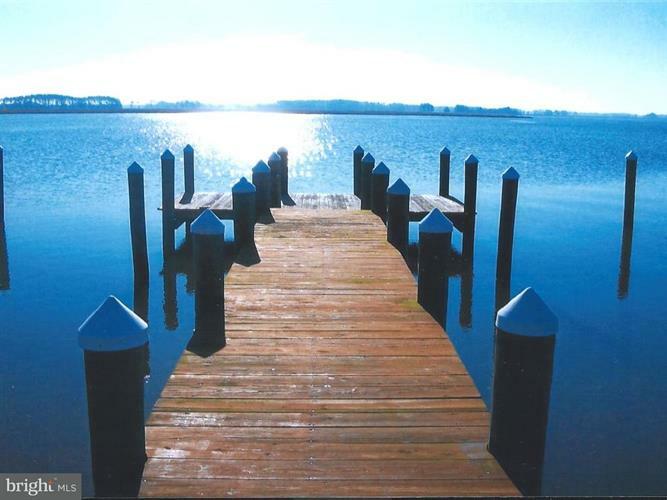 Fantastic hunting, fishing, crabbing and less than a mile from the Chesapeake Bay.